I headed on into the 30,000-acre park and proceeded along the winding, two-lane paved road that had dips and curves giving my suspension a workout. 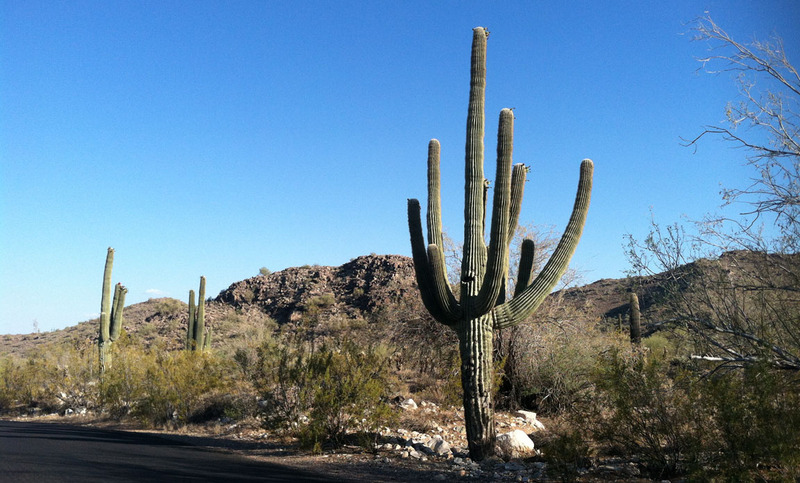 The landscape was dotted with hundreds of towering Saguaro cacti and a few jackrabbits scampered across my path as I worked my way through the park at 25 to 35 miles per hour. The road went 3 miles along the base of the mountains until it hit a roundabout, where I looped back. I took a side loop on the return trip via Ford Canyon Rd which became Waterfall Road. Despite the temperatures, I did take the opportunity to hike around long enough to get a few stray cactus needles attached to my socks. Ouch. White Tank is definitely a place I’ll be visiting again for some hikes when the weather cools off. It’ll make a nice backdrop for some automotive photography, too. Glad I was able to find it! 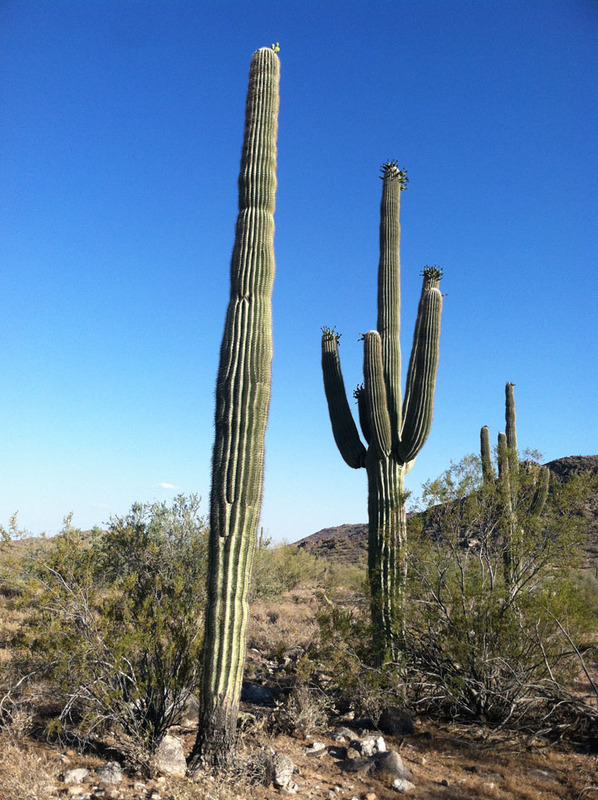 These massive Saguaro cacti are probably centuries old. 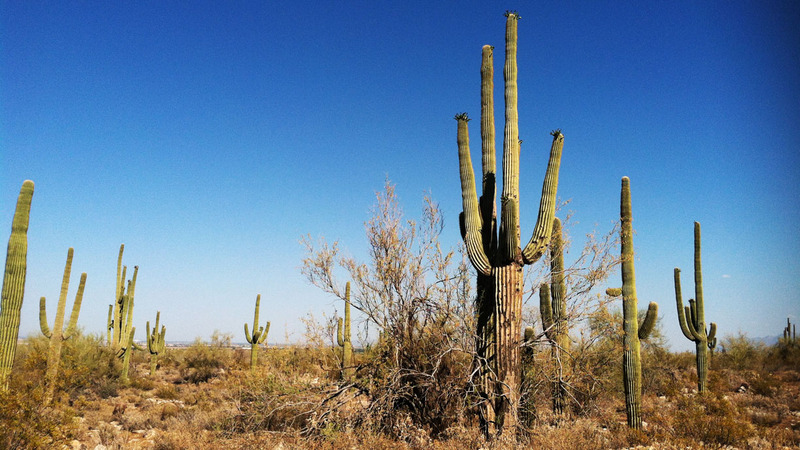 According to the National Park Service, the Saguaro must mature to 100 years in age before it even begins to grow an “arm”! You all know I’m big on dates & anniversaries. 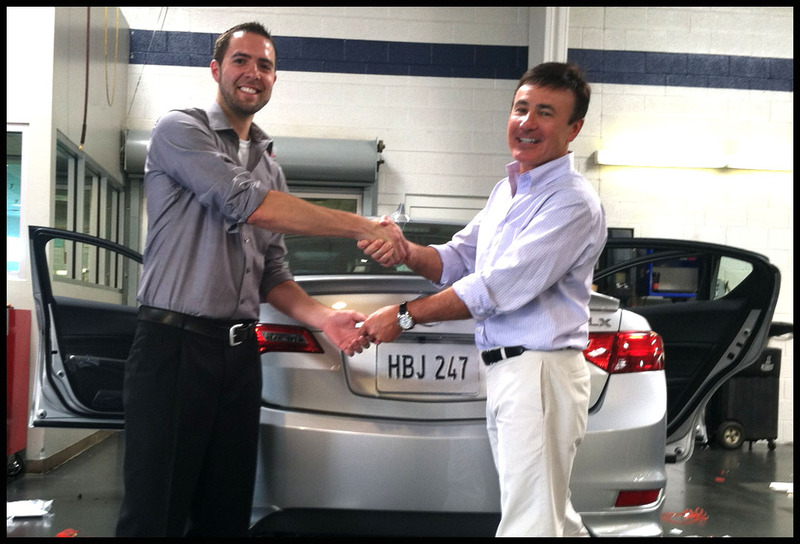 Yesterday, June 12, was the 2-year anniversary of the day I took ownership of the ILX from John Watts of Acura’s Digital Marketing team. The car had just 16 miles on it. It’s been a fun ride so far! 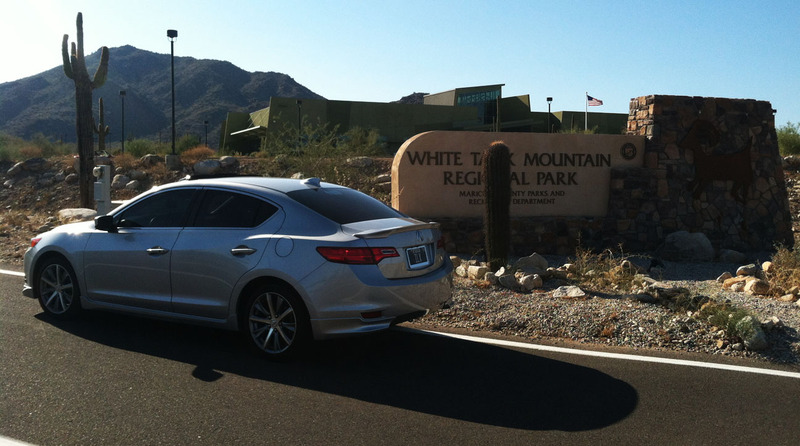 This entry was posted on June 13, 2014 at 3:31 pm and is filed under Arizona, ILX, Road Trip. You can follow any responses to this entry through the RSS 2.0 feed. You can leave a response, or trackback from your own site. 42k miles a year. Not bad!! 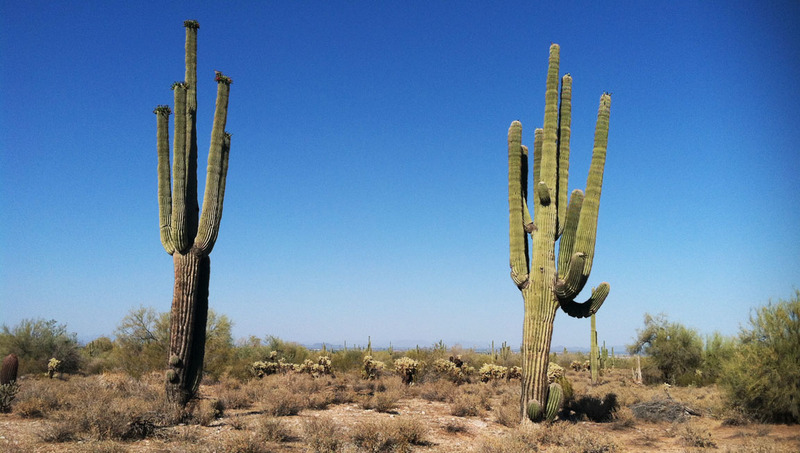 Wow those cacti are old! Haha, yes they are! And thank you Dillon! Hope your weekend is going well! I just got a DSLR camera a few weeks ago, so I’ve been dying to clean my car up and find a place to take some photos of it. 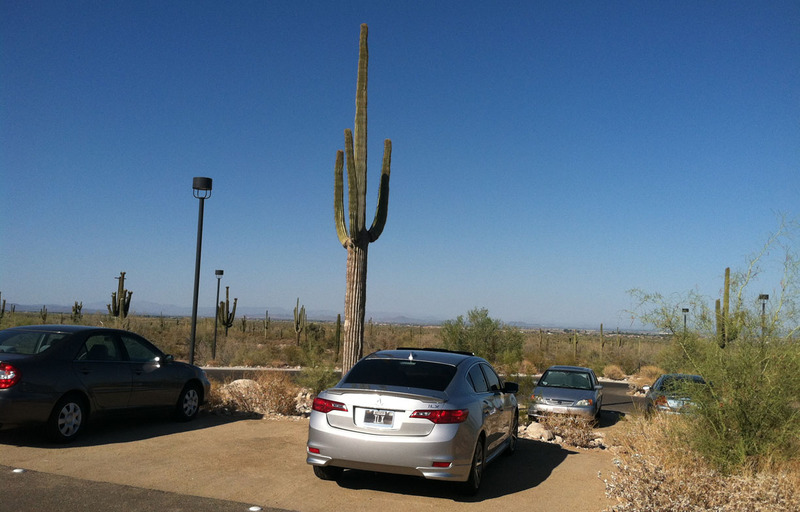 Maybe next time I’m in Phoenix we’ll have to head out there! Let me know! I’m always on the prowl for good automotive photo-ops. I think White Tank would be stunning at sunrise or sunset. In my hour or so in the park, I only saw a couple other vehicles. You could easily park smack-dab in the middle of the road and take as long as you needed to set up a perfect shot. 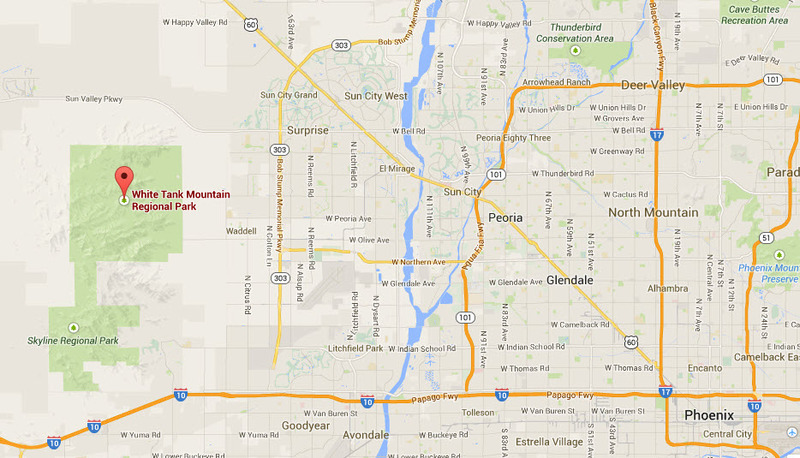 Two hours to kill so lets check out that mountain range park! Yup sounds like Tyson we all know! Haha, exactly! Never let a potential road-tripping moment go to waste! 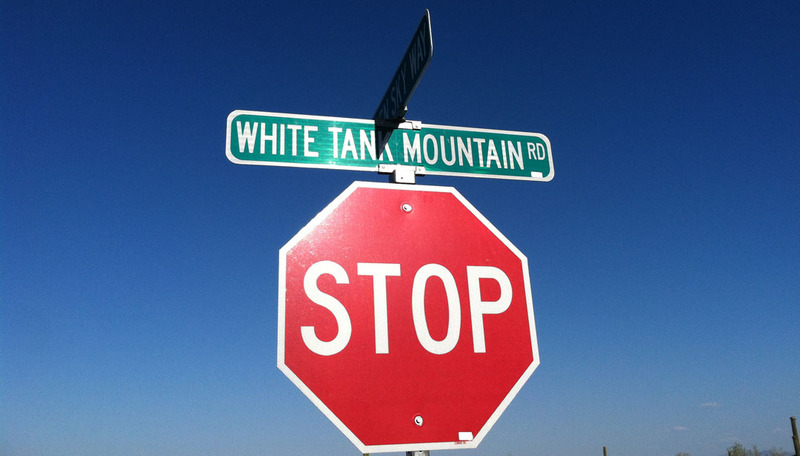 I’m already trying to plan my next trip out to White Tank. Neat place. What a beautiful little park — looks like my kind of place to visit. Thanks for sharing it here! You bet, Tyler! I’m creeping on your turf again – just got to St. George for the night and I’m headed to/through northern Utah tomorrow. Hope you have a great upcoming holiday weekend.